Allery season is in full bloom. I apologize to you allergy sufferers for using the term “full bloom”. Allergy season can be difficult for anyone who is sneezing, coughing, wheezing, and especially breathing through your mouth instead of your nose. Like any other function in the body, it does not exist in a vacuum. A problem in one part of the body will impact others. 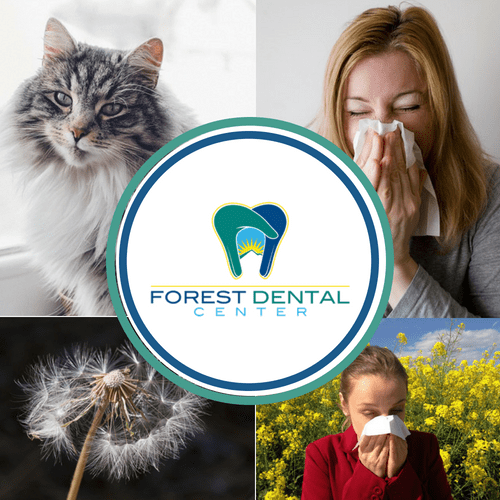 Suffering from allergies and breathing through your mouth can negatively impact your dental health. A simple process is interrupted by repetitive mouth breathing. The drying process reduces the amount of saliva flowing over teeth and gums. This of course allows bacteria and acids to build up and do damage to your dental health. Some signs of this condition are snoring, and bad breath among other things. I think knowing that you have it is a good start. The problem is many people might not see dry mouth as something worth mentioning to a Doctor. That is a critical mistake. Letting this fester could lead to real problems . Dry mouth, and the subsequent damage it can inflict on you are very preventable, but you have to act. Schedule with your Doctor. Let your Doctor know about your allergy problems. He or She can prescribe medicines, or refer you to a specialist if your allergies are more severe. “Could Allergies Affect Your Dental Health? – Prevention – Northwest Austin Dentist – Dr. Matthew Steinberg.” Matthew Steinberg, 10 May 2018, www.designerdentist.com/could-allergies-affect-your-dental-health/.